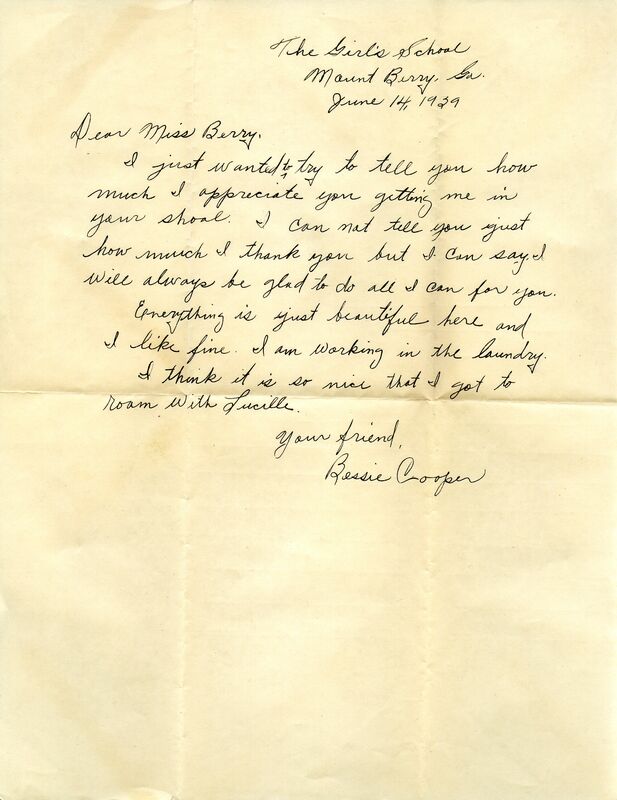 Bessie Cooper writes her appreciation for Martha Berry letting her in the shcool. Miss Bessie Cooper, “A Letter from Bessie Cooper to Martha Berry.” Martha Berry Digital Archive. Eds. Schlitz, Stephanie A., Justin Karch, Jessica Hornbuckle, et al. Mount Berry: Berry College, 2016. accessed April 25, 2019, https://mbda.berry.edu/items/show/14095.